Arrive late morning and head to our B&B for a welcome lunch. After eating, we’ll unpack and get settled before eventually heading out for a relaxed riverside, waterfall-laden run. A big dinner and plenty of drinks will follow. Wake up to coffee, a relaxed breakfast and a beautiful sunrise. 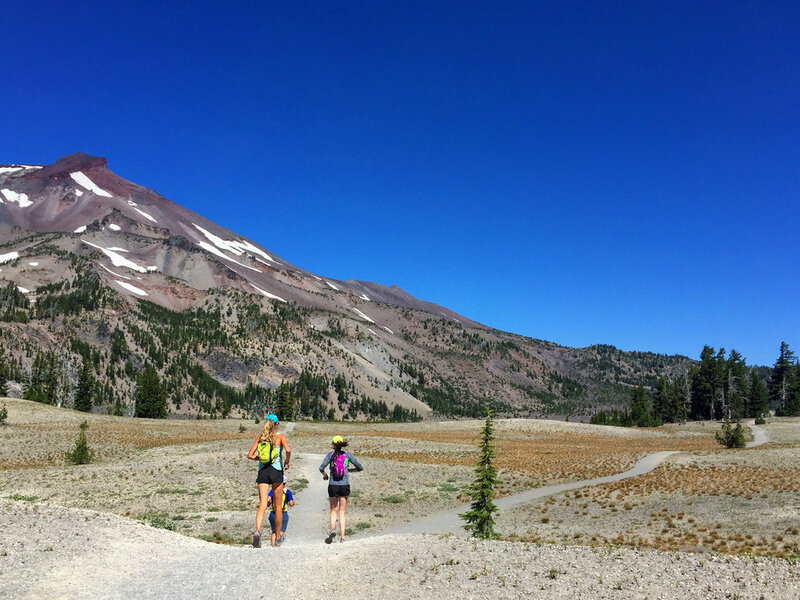 We’ll take a scenic drive towards our trail head, where we’ll begin an alpine trail run that weaves through fire-stricken trees, old-growth forest, fields of wildflowers and climbs towards a glacial lake. Afterwards, enjoy a big picnic lunch and a soak in a river of snow melt before journeying back to town for a brewery visit (and plenty of sampling!). Another big dinner and an evening relaxing around the fire pit caps off a great day! Kick off the day with coffee, breakfast and a (somewhat) early start - today is the big run! 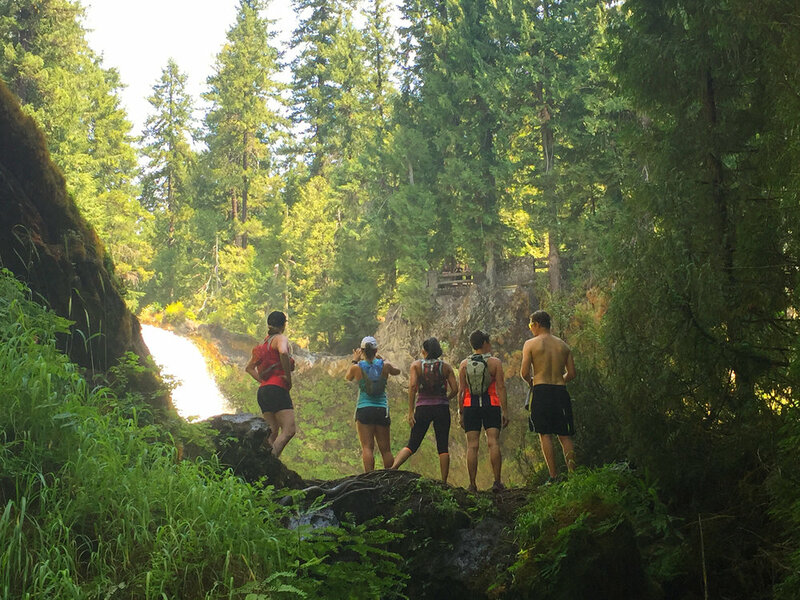 After a scenic drive and trail orientation, we’ll begin a point-to-point long run on one of the most famous, magical trails in the country; old-growth forest, crashing waterfalls, turquoise pools and a rushing river. Lunch awaits at the end, along with a cold water soak. 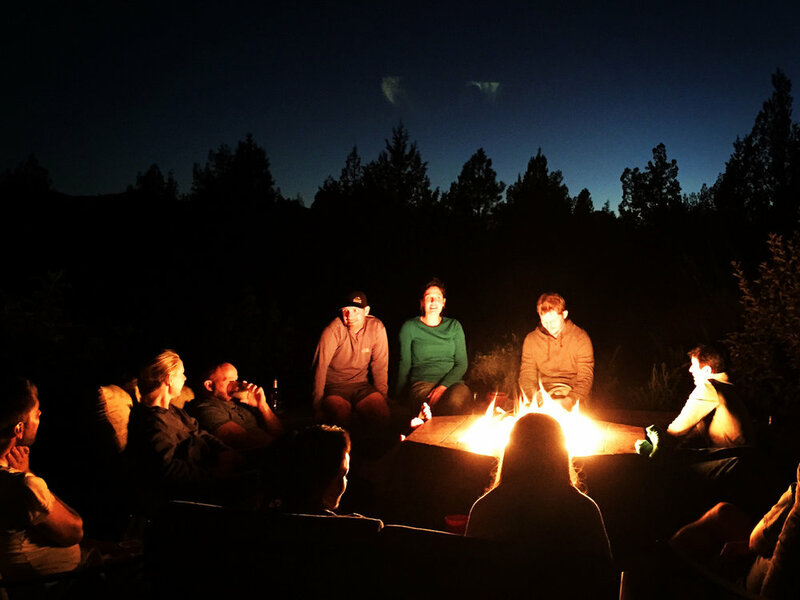 That evening you will be free to grab dinner and explore Bend on your own (or with others!) - our B&B is walking distance to many great options. Afterward, reconvene at our hot tub to wrap up the day. Legs a bit tired from the long run? 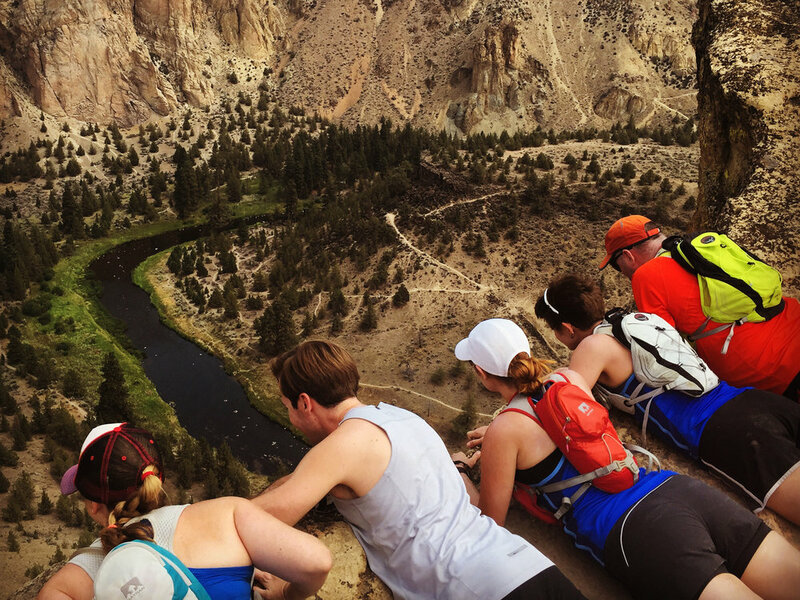 Today’s run offers the option of a challenging climb or a comfortable cruise, both with unforgettable views and a high desert landscape unlike anything else we’ve seen. 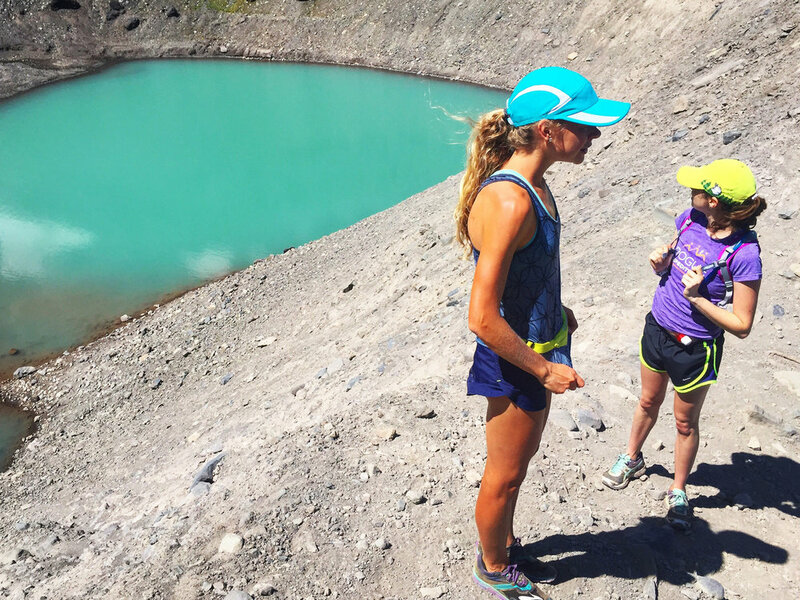 You can choose to run or hike, depending upon how you feel – we’re in no rush! 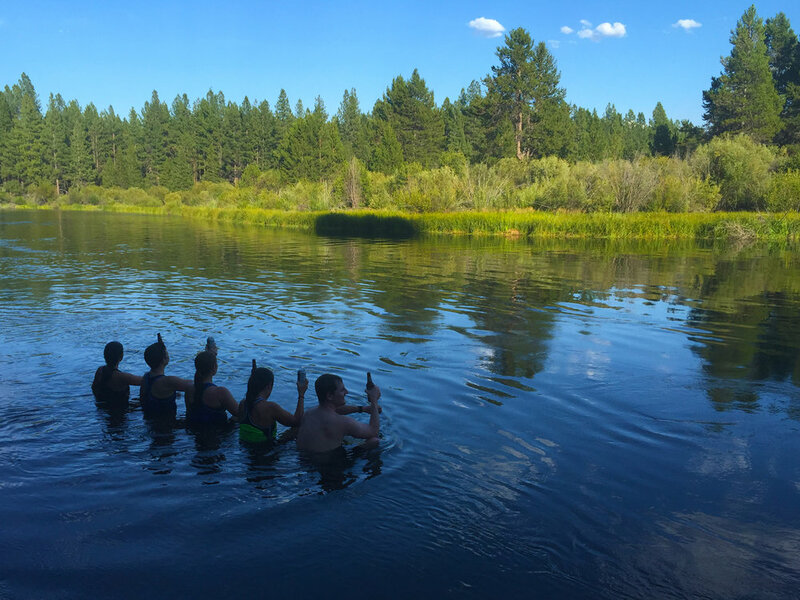 Another big picnic spread awaits, which we’ll enjoy before a leisurely afternoon float down the Deschutes River and the chance to kick back at a local brewery for our final dinner. We’ll do our best to make the minutes stretch; you won’t be ready to leave! Today's run is early and optional, but you won't want to miss it. We'll head to a local trail that is lined with stunning waterfalls - the out/back set up caters to both those with fresh legs and those who just want a scenic stroll. A big brunch will be prepared for our final meal together; linger over mimosas and coffee as long as you can! Eventually it will be time to pack up, say our goodbyes and depart for the airport. A $500 deposit secures your spot, and balances are due by March 1 (Week 1) or March 7 (Week 2). Sign ups after these dates will be due in full. There will be a minimum of 6 and a maximum of 12 runners. Spots are available on a first-come, first-serve basis! 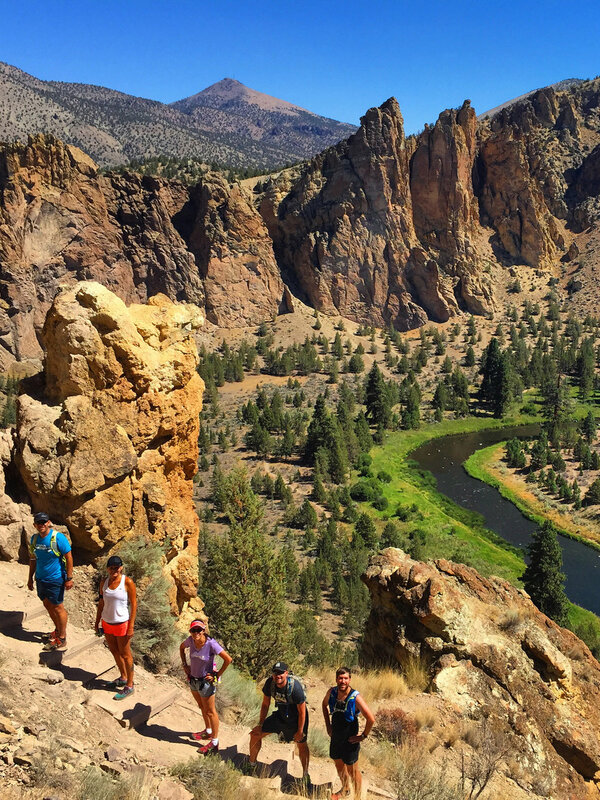 You will need to arrive in Bend by lunchtime on the first day and depart no earlier than 1:00pm on the final day. 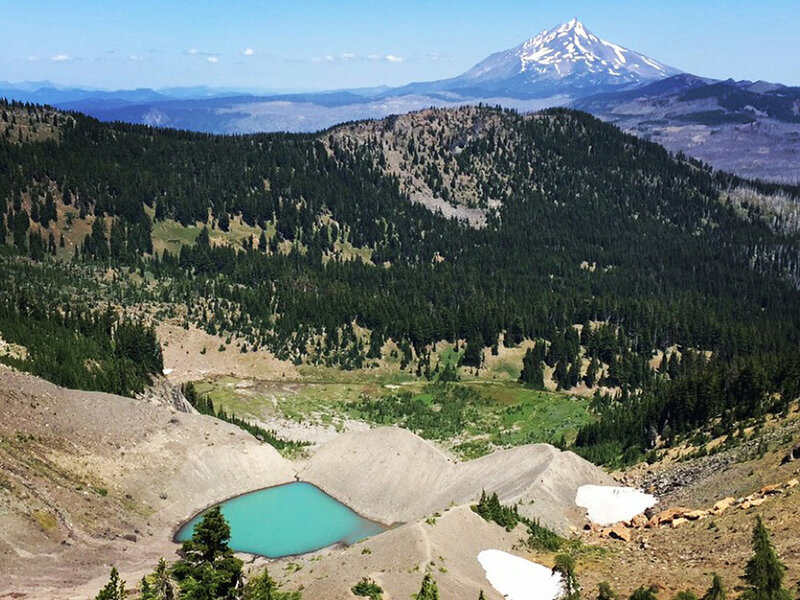 You can fly directly to Bend/Redmond, or use a shuttle or rental car to connect from Eugene or Portland (great if you're planning to extend your vacation!). Suggestions and guidance will be provided once the group is set.